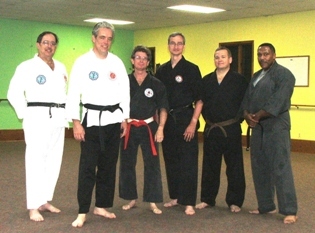 If you are looking for Traditional Okinawan Martial Arts in the Northern Virginia area. We have been here serving the community for over 41 years in Warrenton Virginia. We are in the business of changing lives. Our instruction can give you the physical and mental power to REACH YOUR GOALS no matter what they are. WHAT IS THE VALUE OF MARTIAL ARTS training? - In our daily lives we most often forget the value of exercise with its numerous benefits. The practice of Karate is not an end, but a means to an end. You can start at any age and gain these valuable results, and use them in other aspects of your life. !! CLASSES ARE ON GOING, YOU CAN START AT ANY TIME ! !